Good evening everyone! I hope you are all having a fantastic Sunday. I am back this evening to share day 7 of the 31 day challenge. I had many ideas of things I wanted to do for the Black and White challenge but after much debate, I decided on doing something completely new to me. 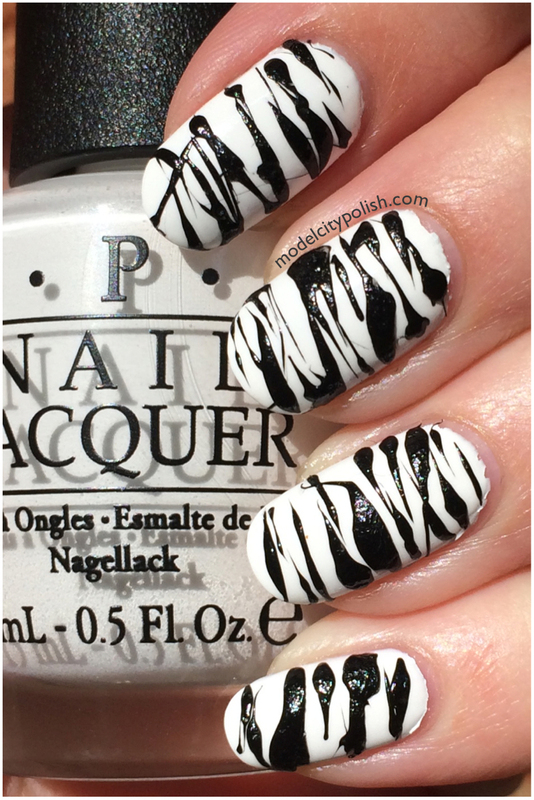 Most of us have seen the sugar spun nails and I felt black and white would be a great combo to try this out with. 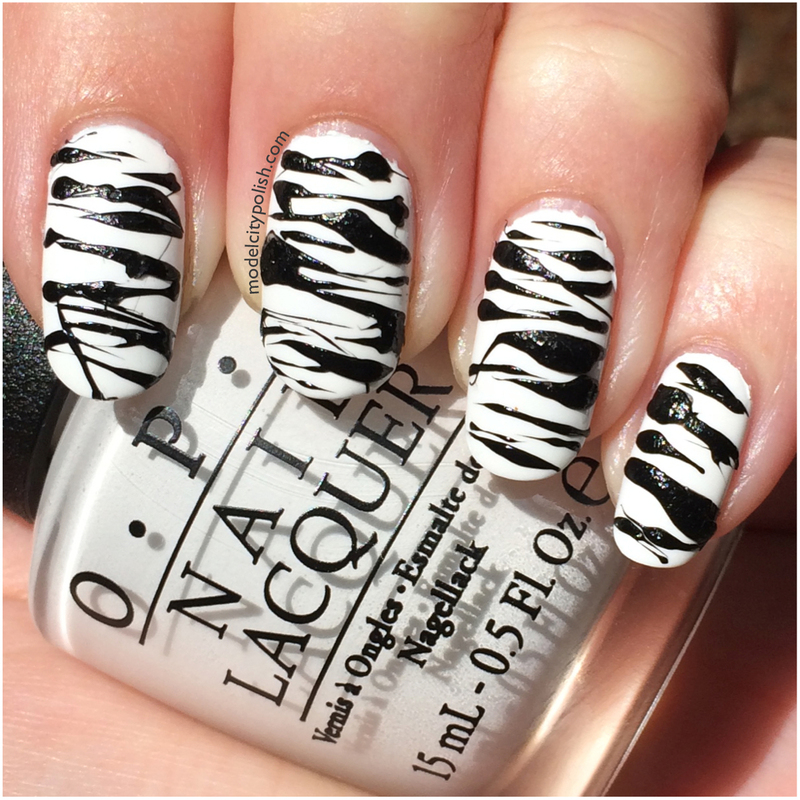 I started off painting my nails a base white using my OPI Alpine Snow. Once that was well dried I used a mixture of Elmer’s Glue and water to paint the skin around my nails, this will help with clean up. Next I poured some old Sinful Colors Black on Black onto some aluminum foil and started stirring. This takes some time to thicken properly and clearly I got a little impatient, this is why I have bigger clumps. I used my fine point dotting tool to apply the stringy paint. When I was finished with one hand I peeled the glue off and used a cleaning brush for the few little spots that didn’t hit the glue. I helped the drying process by using Julep Ta Da! Quick Dry Drops and then waited. 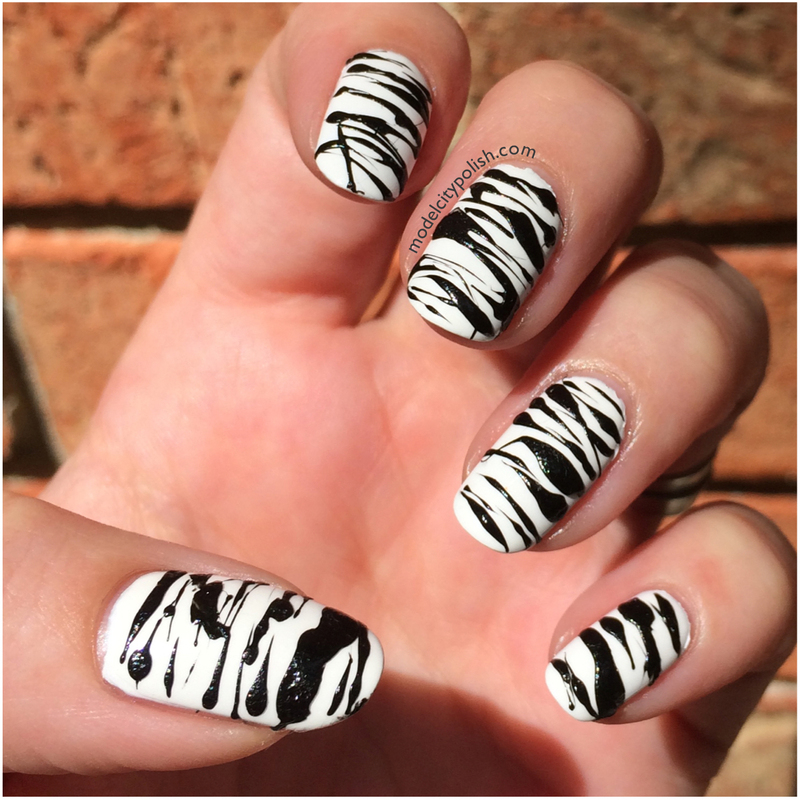 I did my other hand much later so I could give as much drying time as possible. These look fantastic! Great job!